Peru Swiss Water Decaf. - A Dark Roasted Organic Fair Trade Peruvian Coffee Decaffeinated. Home > Coffee > Peru Swiss Water Organic Decaf. Roaster's Notes: Full bodied organic decaf. with dark chocolate and nutty qualities. This Peruvian coffee is Strictly High Grown (SHG) and was decaffeinated by the Swiss Water Process. We roast this blend dark, resulting in a rich, flavorful full bodied decaf coffee that will truly satisfy the coffee lover. You'll swear its not decaf. (until you fall asleep)! LOVE IT! LOVE IT! LOVE IT! Arrived as fast as buying locally. 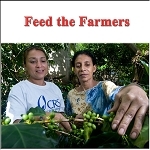 I've tried several local roasters, and the beans are always dull and dried out; the flavor ditto. Beans must be decaf, water processed, and organic, or I will not buy them. And you have CHOICES!!! Your beans arrived dark and glistening and wonderfully aromatic.The coffee is rich, full and dark, but not the least bit bitter. I am using fewer beans because yours are so wonderfully rich. Thank you for a wonderful product! 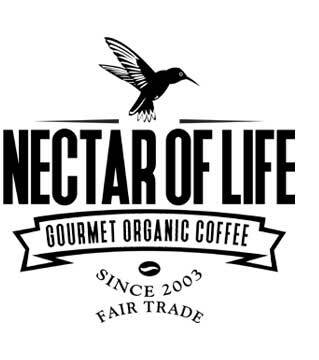 I have been looking for a good, fairly full bodied swiss water processed Decaf Coffee and stumbled across Nectar of Life on the internet. Due to a heart condition I am required to limit my caffeine intake. I am very happy to have discovered this decaf. It is in my top three or four decaf coffees in terms of flavor. The organic swiss water process is another plus. I WILL order this again, soon, because I am almost out of it. This is one of my favorites of the Swiss-water decafs at Nectar of Life. It is flavorful without being overpowering. I highly recommend it. I have been a loyal customer for 5+ years and have been completely satisfied with the service, quality, prices, and range of products available. And the company is ecologically and socially responsible-- what more can I ask? I won't buy my coffee anywhere else! Q: What is the caffeine content of your Swiss water decaffeinated coffee? 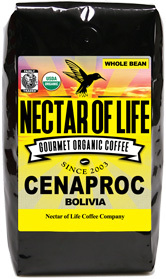 This Peruvian coffee is 100% Arabica which is a lower caffeine content than the inferior robusta species. It is decaffeinated by the Swiss Water Process which results in a coffee that is 99.9% caffeine free (note: this is different than removing 99.99 of existing caffeine.) Arabica Peruvian coffee is on the lower end for caffeine content (Indonesian coffees are lower still.) 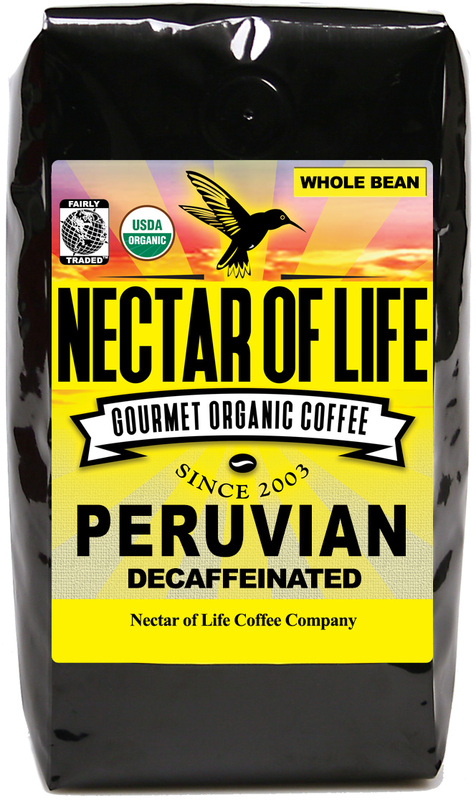 A strong brewed 12 oz cup of regular Peru may have around 110 mg of caffeine so this decaf. version should have around 1 - 2 mg of caffeine.